Not all of the Alaska Range is remote and rugged. 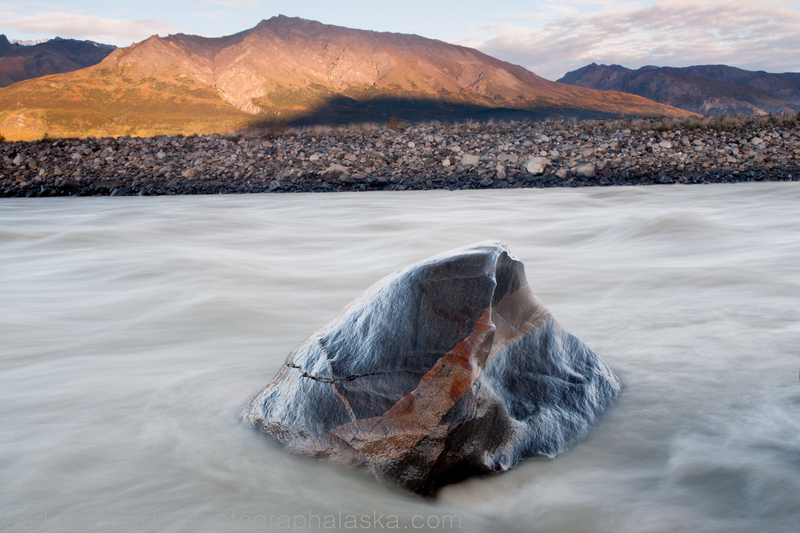 One of the more popular areas in the Alaska Range is the Amphitheater Mountains off the Denali Highway. The Amphitheater Mountains are a small sub-range of the eastern Alaska Range. They are a mixture of rolling tundra, craggy peaks and beautiful alpine lakes, the most accessible ones being a series of lakes known as Tangle Lakes. My first trip into the Amphitheater Mountains was in 2005, when my usual partner in crime, Sy, and I did a circumnavigation of the mountains. We went in early June and ran into deep snow on the north side of the range. We encountered many caribou and my first and only encounter with a wolverine. Weather was mediocre and I created few good images. Last week I went up to the Tangle Lakes area with my wife and son along with a whole bunch of family friends. We canoed, hiked and picked berries, all in the rain. Okay, we did have one nice morning that didn’t turn ugly until the late afternoon. 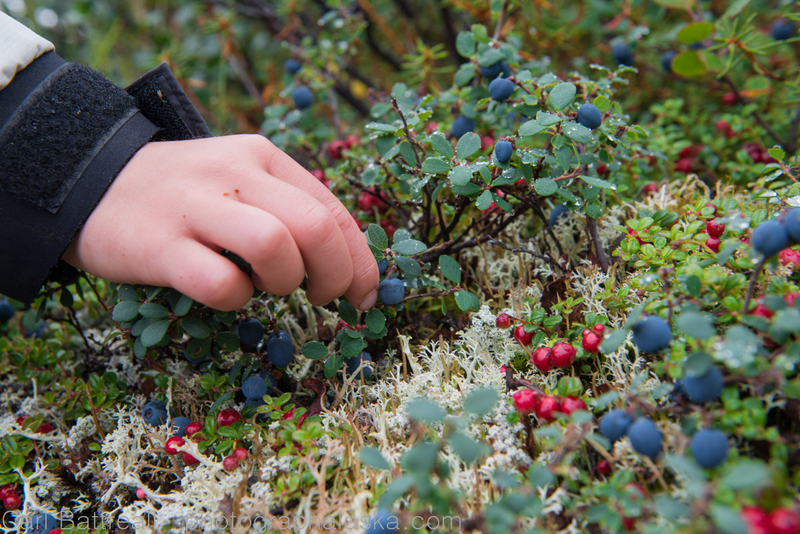 My son Walker picking blue berries. Rain or shine, berry picking is always fun. This was my first trip since the ill-fated Neacola trip and I wondered how I was going to feel around so much cold water, but I felt fine, even when the wind, rain and waves picked up during one of our canoe trips. 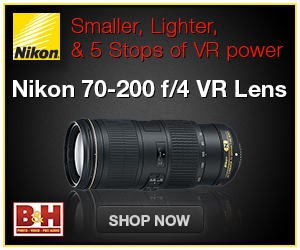 Unfortunately, just like my last trip, photography was mostly a bust. 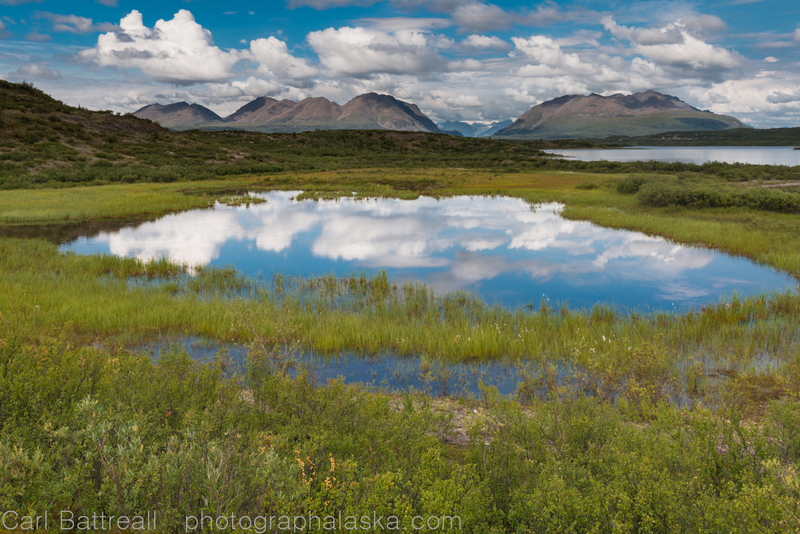 The Tangle Lakes are the headwaters of the Delta River, a designated Wild and Scenic River, that splits the eastern Alaska Range into two sections. The Amphitheater Mountains (and the neighbouring Delta and Clearwater Mountains) are the home of the of Nelchina caribou herd. The Nelchina herd’s primary winter grounds are the Amphitheater Mountains. 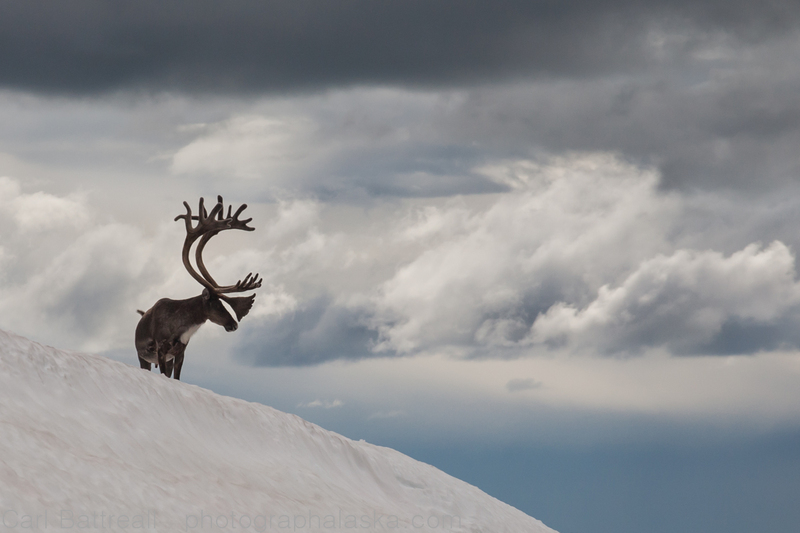 A large bull caribou of the Nelchina herd. This image was taken in 2006, in the Delta Mountains. The Tangle Lakes biggest claim to fame are the human artifacts that have been discovered. There are more than 600 historic and prehistoric sites within the Amphitheater Mountains that help to tell the story of human occupation and hunting for the past 10,000 years. The Tangle Lakes Archaeological District was accepted to the National Register of Historic Places in 1971. Even with it’s natural beauty, bountiful wildlife and long history, the Tangle Lakes area is constantly being surveyed and probed for possible large-scale mines. Almost every hour a helicopter passes through the area to the many drills sites north of the Amphitheater Mountains. In the adjacent Delta Mountains, one of the area’s finest hiking trails was bull dozed in order to get drilling rigs to remote sites. 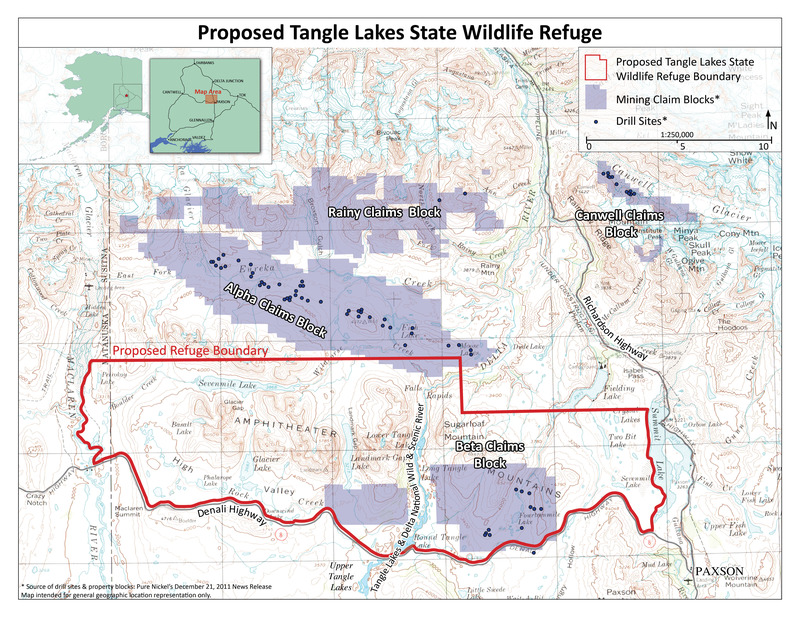 Because none of Amphitheater Mountains are under state or federal protection, a dedicated group of locals have begun the process of creating the Tangle Lakes State Wildlife Refuge. Creating any type of protected land in Alaska these days borders on impossible. So, If you have spent time in the area and would like to see it stay as wild and beautiful as it is, please consider helping out. 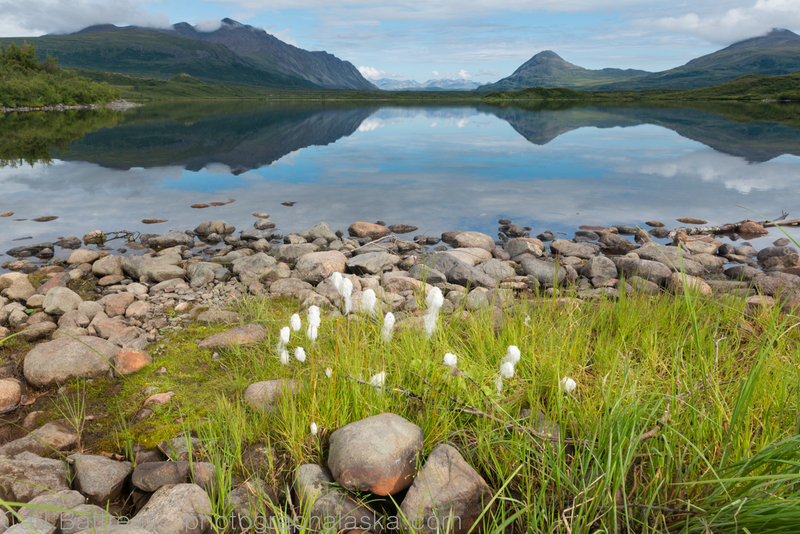 Cotton Grass and Round Tangle Lake. This entry was posted in conservation, Expedition Reports, New Photos, Old Photos and tagged Alaska, alaska Mountains, alaska photographs, Alaska Range, alaska range project, Amphitheater Mountains, Caribou, Conservation Photography, Delta River, Lower tangle Lake, Round Tangle Lake, Tangle Lakes by Carl. Bookmark the permalink.